You probably get initially excited thinking, "oh, finally I've got this one sold," but then you wake up to the light of day. We have all gotten offers from a customer or client that makes you feel like you had a mountain to climb. A contingency is one of the mountains...with lots of foot hills. It may not be that big a deal to your Sellers, like maybe they're moving slowly (literally) and have no problem with taking their time. Remember, that's only in the beginning. Slow may be acceptable in the very beginning. But, as the motion of the move progresses...so does the liability. And, let's examine the potential liabilities. 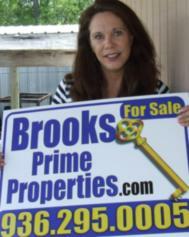 A Buyer's Rep brings a buyer for one of your listings and they offer a strong price. The only difference is that they have to sell the house they're in before they can totally commit to the sale. At least for that moment they have a good intent. What happens when the buyers of the house they plan to sell lose their financing or their job or they get a divorce or there is a death in the family or the children convince them they just don't want to move? Your Sellers aren't in a huge hurry so they say sure...with financing approval. Well, we all know that's easy enough to get. 1. You must forfeit your first born. 2. You must allow yourself to be cloned. 3. You must go on a 1200 calorie daily diet...okay that's it. We're out of here. We may have thought we wanted to buy the place but that was a long time ago. We've changed our minds now...or whatever your customer's reason may be...they just walk away. Contingencies hurt. They hurt the Seller, the agents, the lenders involved, the appraisers, the inspectors, the surveyor's, the life plan of the living. My recommendation is to limit the amount of time you allow a contingency. Really limit it. Require check in points and a guarantee from a lender with verified funds. If you don't you are asking for trouble. Continue to show and take back-up offers. Remember you can take another offer and require the original contingency buyer to put up or shut up. Do it. Do it for the benefit of your seller. No one has all the time in the world. Guard these folks as you would yourself. Sorry, I don't type. That's my story and I'm sticking to it. Yup. SMILE… You're on Makeover2Takeover! Happy Memorial Day! AMBER ALERT - man and child found..
Gifts… I will share my chocolate with you! Property Opinions? Reality of Real Estate? ENJOY YOUR MOTHER'S DAY. ENJOY YOUR MOTHERS.